NASA astronaut Scott Kelly has tweeted a photo of a flower that bloomed on the International Space Station’s zero-gravity vegetable garden. 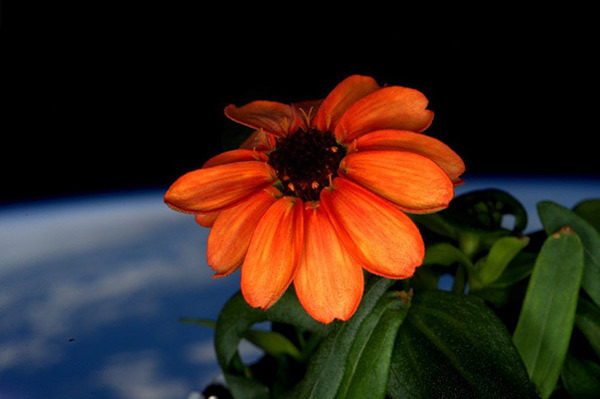 Working on the space laboratory since March 2015, the American astronaut delightedly revealed on Twitter that he successfully coaxed the brightly colored Zinnia to blossom. This came as a huge surprise as less than a month ago, the plants appeared moldy and shriveled. 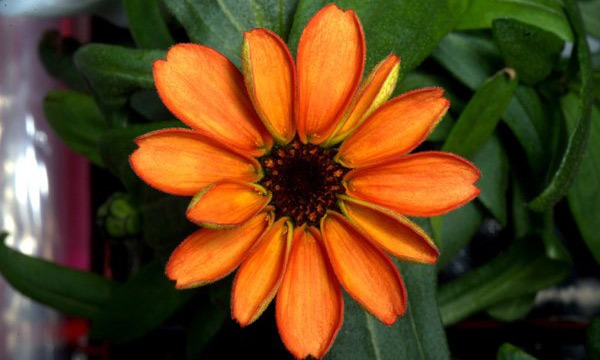 According to NASA’s blog, the flower was grown to “help scientists understand how plants flower and grow in microgravity”. Scientists teaming up with astronauts to create solutions for agriculture in space are speaking volumes with the success that was achieved from this flowering experimentation, called “Veggie”. The potential to grow more plants in space is now being considered from the success of the flower’s growth. With these developments, it could mean there may be a potential for a human colony on Mars, bringing NASA closer to a manned mission to the red planet one day. As for this achievement, what sprouted was not only a beautiful orange flower from a specialized fertilizer, seeds, water and clay, under LED lights but also gave a moral boost for the astronauts and a hope for greater strides for humanity.